Tucked away in the garden featuring "peek a boo" ocean views. This rustic two bedroom, one bathroom cabin features a queen bed in one room and two twins in the other. 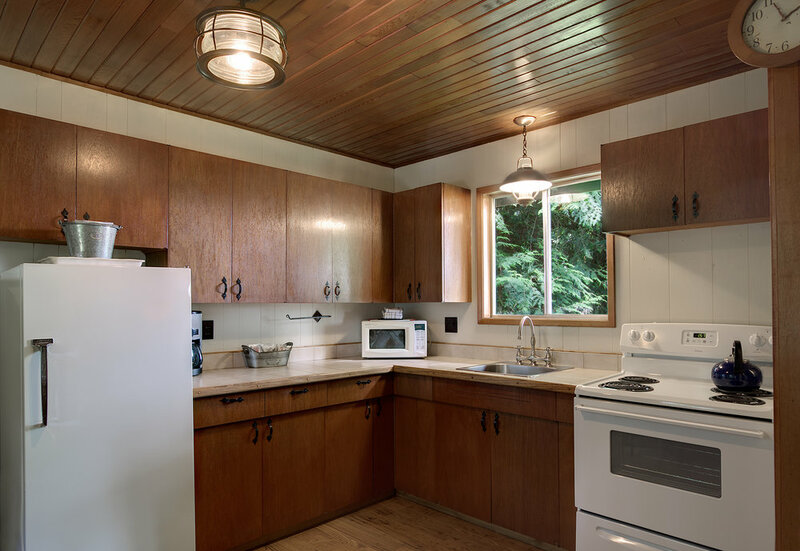 Cabin 9 features a fully equipped kitchen supplied with fair trade coffee and teas, sofa bed, flat screen cable tv and a beautiful river rock fireplace, with an evenings burn of firewood included. Enjoy the calmness of being surrounded by majestic firs and lush greens while soaking in the private hot tub.